The Advance Network | Committed to changing the classical and jazz musical landscape for black, Asian and minority ethnic musicians. Committed to changing the classical and jazz musical landscape for black, Asian and minority ethnic musicians. The second half of the event began with a short preview of Kuumba Youth Music’s new advocacy spotlighting film Musical Journeys.The film tracks the journeys of a number of young musicians and their parents and provides a very powerful tool that will promote and profile the benefits of supporting BAME young people to progress in the classical music education sector. The film will also be uploaded onto the Advance Network blog for wider distribution after its premiere in April. Beverley Mason presented an overview of the research conducted during Phase 1 of the Network. 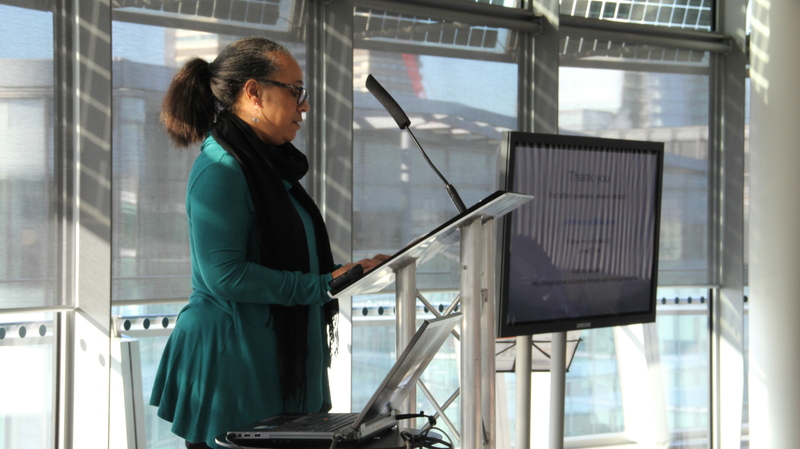 She noted that the research showed that there were still many barriers that BAME young musicians face in their progression and that a key objective of the report was to provide a basis for dialogue to be created in the sector so that some tangible collaborations could be developed to support action. A copy of the executive summary and the final draft of the research report can be obtained from Beverley Mason directly. Sean Gregory began by saying how important the Barbican’s involvement in the action learning sets had been as a means of opening up conversation within the organisation and this has been a powerful part of the organisation’s learning. 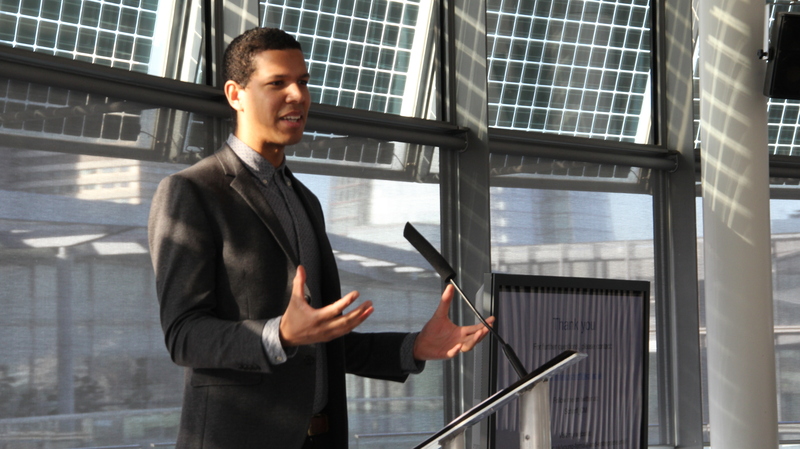 He went on to talk about the key issues that are prevalent for the Barbican particularly the need to work on progression and pathways to support young people over a sustained period of time. 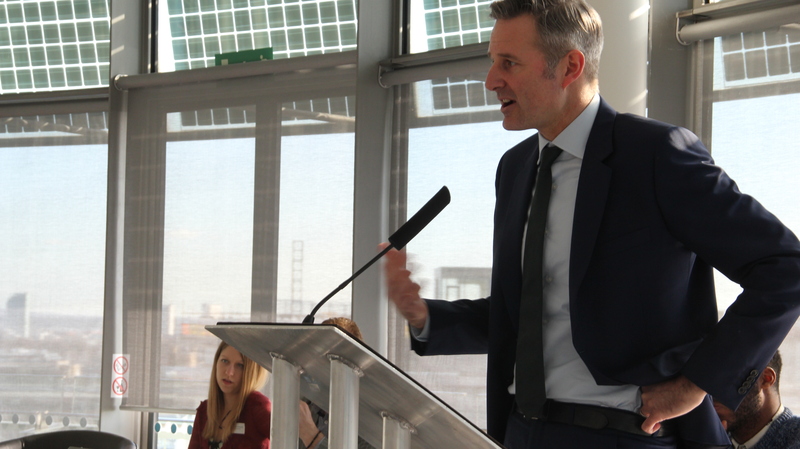 He continued by acknowledging that partnerships are critical – no organisation should be operating in isolation anymore and that everyone needs to be more generous with their time and resources towards each other and collaborate more. Sean went on to talk about how the Barbican is addressing these issues with two particular initiatives. 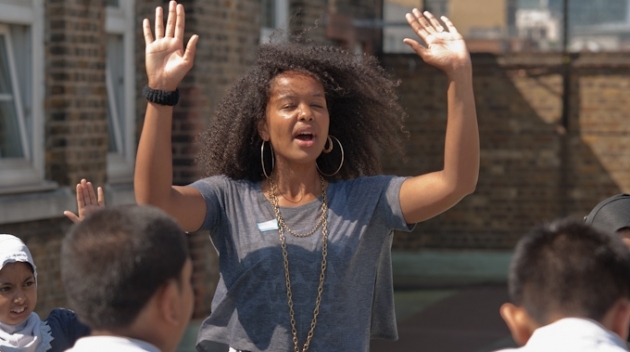 Firstly they have set up the East London & City Partnership (supported by funding from the Esmee Fairbairn Charitable Trust), which is working in partnership with schools and communities across the area to support lifelong engagement. The Partnership is very much about sharing information and resources, and reducing duplication and it is developing a 5-10 year cohesive plan for entitlement for young people in the area. The second initiative is the creation of a new “Golden Thread” for lifelong learning and development. This will support young people to unlock their own creative energies and skills and develop a career path into the industry. Part of this programme involved setting up a new BA in performing arts, which will provide a new model and route into the industry without being based solely on academic attainment. The overarching principle of this strand is that young people, from a diverse range of backgrounds, will be encouraged to enter the creative professions with the result that, in ten years’ time, there will be a pool of emerging talent that really reflects the look and feel of London. Sean ended by reiterating the importance of being in it for the long term . Next there was a short musical interlude by 2 musicians from Tomorrow’s Warriors: Rhiannon Jeffrey (violin) and Miranda Lewis (cello) performing the jazz standard ‘Autumn Leaves’. After a very positive presentation from the participants of the Action Research Labs, Graham Bland and Jenni Parkinson, the participants went back into their roundtable groups to discuss the ‘call to action’ made at the event – i.e. what action can I commit to? We will be continuing the work started through the Advance Network through a new grant that we have been awarded by Youth Music, working closely with partners. Put young people at the heart of these conversations – there are very few young people actually present at this event and it is important that they are part of the whole debate! The final event closed with a speech from Krystyna Budzynska, one of the founding members, who reminded the participants why the network was originally set up – to commit to creating a landscape where diversity can flourish. 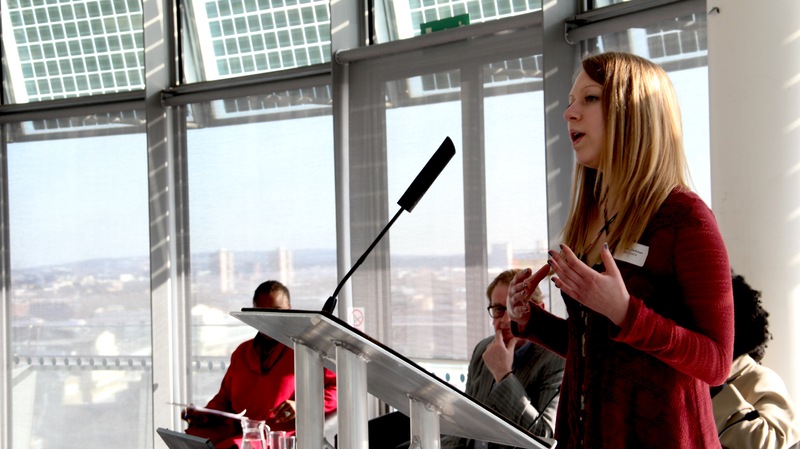 Krystyna noted that key aspects of the work initiated by the Network would be carried forward by Sound Connections, who will be running a London-wide network for young people in challenging circumstances, including BAME young people. Alongside this London Music Masters will be running a series of critical debates looking at some of the key issues that the Network has focused on. The Advance Network will also be providing an online network for participants to continue to share experiences. Finally, the Network founders are planning to hold an event in 2018 to see what progress has been made and to follow up on all the individual commitments that participants have pledged – so there will be “no ducking out”! The Advance Network Phase 2 Closing Event – what did I miss? Many thanks to all the delegates that attended The Advanced Network phase 2 – taking action final event that took place on the same day as the Warwick Report was announced in the media. This is a brief reminder of the day for attendees and a short report about the event for those unable to attend. This final network event took place at City Hall on 17th February marking the formal end of the Advance Network project. It sought to examine and highlight some of the actions that have taken place during the past 2 and a half years and also to empower delegates to either begin to take action or to continue building on the action they have already started to take. 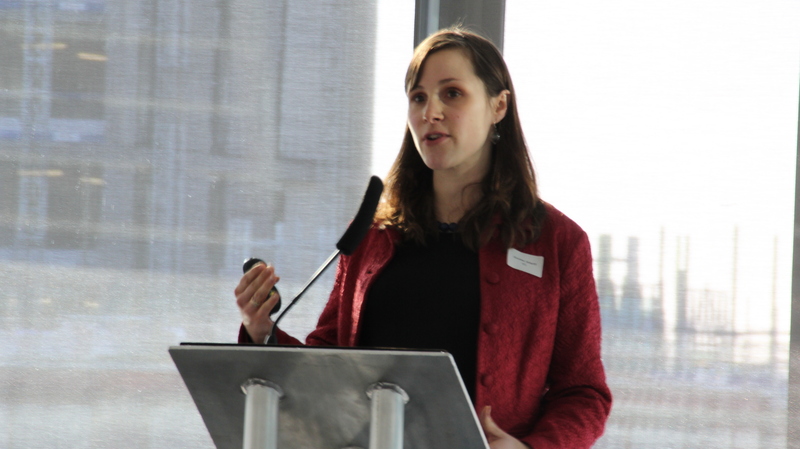 Dr Christina Scharff was the first speaker to take the stage to present some of the highlights from her recently completed research report examining diversity and equality in relation to gender, race and class. Although Dr Scharff opened her presentation by stating that the findings paint a depressing picture, however, the data does provide a solid foundation for action to redress imbalances. The full report can be viewed here. Dr Scharff concluded that: 1.The issue of gender inequality proves that there are institutional practices that need to change. 2. The pace of change is slow and change is not always progressive. In order to make a substantial difference the sector needs to consider positive action. 3. Structural issues require structural solutions – quotas or blind auditions for example. 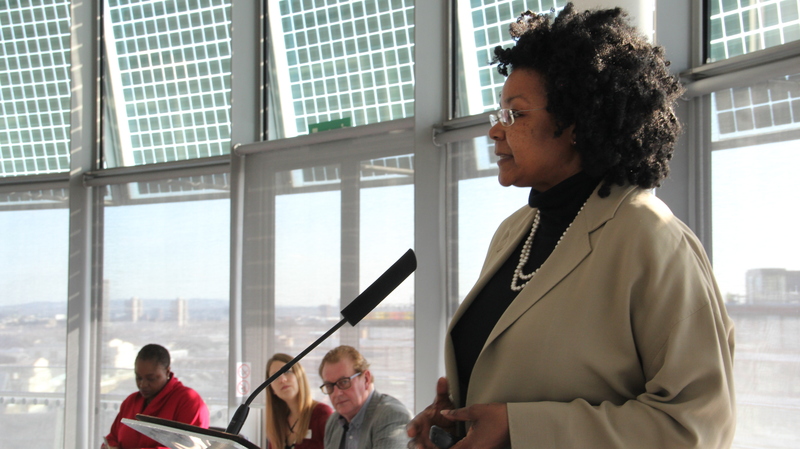 Janine Irons MBE gave a hard-hitting and impassioned presentation. She began by saying that she was not going to put a positive spin on the situation and that, after nearly 25 years of Tomorrow’s Warriors existence, it was soul-destroying to be having the same conversations about diversity. Despite decades of diversity initiatives and funding to support this area very little had actually changed. Janine made a very strong case for the work that Tomorrow’s Warriors does to provide equality of opportunity for all, and made a plea to funders to stop setting up new initiatives and instead to focus on creating fundamental structural change. The focus must shift away from seeing diversity as a deficit and something that leads to the dumbing down of quality, and instead an acceptance of diversity being a badge for quality and excellence. Janine also made a plea to organisations to stop trying to use Tomorrow’s Warriors to tick their organisation’s diversity boxes! Robert Adediran began his presentation with the very personal story of his mother, whose own musical journey was severely limited despite her genuine interest and the support of her music teacher, Mr Wilson. Through this initial engagement Robert’s mother was passionate in supporting her own children to develop their musical interests. As a direct consequence of this, Robert and his two siblings now work in the music profession and have a lifelong love of classical music. He used his story to highlight the importance of taking the long-term view i.e. that it can take at least a generation for real change to happen. Robert went on to point out that it is critical that music organisations try to remove the often perceived ‘paternalistic’ approach of music education in the community. London Music Masters have begun to embed themselves in the communities around them and don’t actually have to reach very far because they are already part of the diverse communities on their doorstep. The other main point he made was that the relationship with the community must be reciprocal. From a personal point of view he spoke about his own interest in seeing how classical music is filtered through the experiences of diverse communities, so that the music they create is very different from those who have been classically trained – “music is a living thing that grows and changes”. Milica Robson reiterated the importance of diversity to excellence and quality, neither of which can truly flourish without diversity. 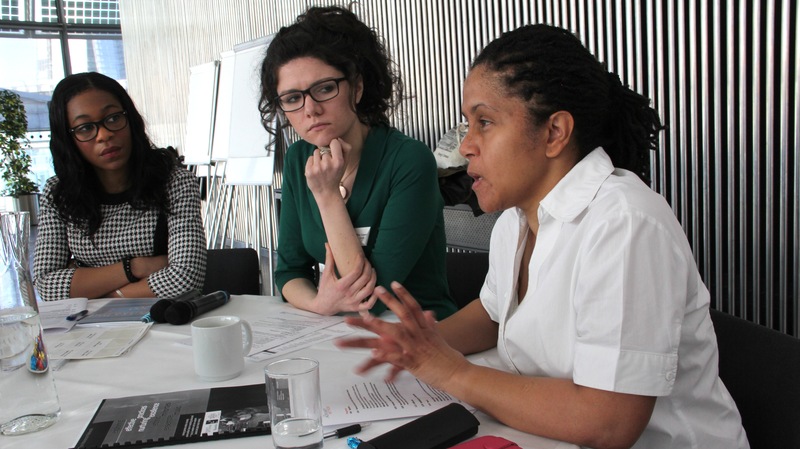 ACE are there to support and enable organisations to take action and strongly support those organisations that continue to place diversity at the heart of their work. Alongside excellence, accountability remains a core need but ACE is opposed to organisations simply ticking boxes and praised the excellence of the work done by Tomorrow’s Warriors. 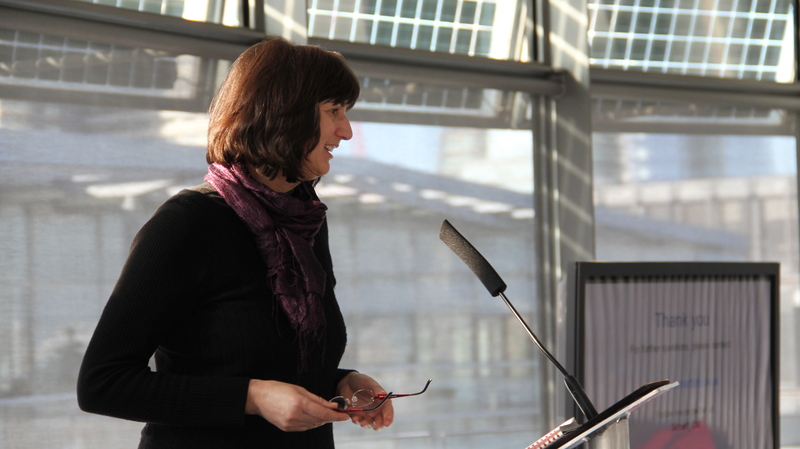 Milica also spoke of the work that ACE has been leading to set up the network of Music Hubs across the country. She reiterated the importance of this part of the ACE’s portfolio – to give all children widening access to music around the country which must never be underestimated. The Hubs are based on the principles of equality and access, firmly enshrined in the National Strategy for Music Education. Milica ended by reiterating the need for a long term approach and encouraged all those present to continue with the good work that the Advance Network had initiated. Agreement with the danger of a paternalistic / cultural imperialist approach – many initiatives come from well meaning mainstream organisations and the risk of these being patronising is immense. The need for some care when looking at statistics on gender / race / class in relation to employment in the sector as there is an inevitable time lag due to the longevity of careers. It is important to also factor in the replacement rate and not just the employment rate. Agreement that positive action measures need to be taken, and that diversity doesn’t mean a compromise. Charlotte Barbour-Condini, BBC Young Musician 2012 winner of the woodwind final, gave a beautifully judged performance of a Telemann Sonata. Roundtable discussions The conference participants discussed in smaller groups whether there were small shoots of change emerging as a result of the Network’s activities, and what barriers remained. That the debate needs to move away from seeing diversity as a problem and recognise the important role it plays in creating quality and excellence. The issue of class – which is often not discussed but which has a huge impact on access. The need to not make too many assumptions and understand some of the complexities in this area – for example on the point made previously regarding the number of students at conservatoires coming from private schools – many BAME young people had received scholarships to private schools and this is an important entry route for many young people. The need to do it for ourselves and not wait for diversity initiatives coming down from on high. The need to be passionate about music as this can be powerful when engaging young people – but perhaps not very ‘British’? Need to show young people that there are different options and career paths in the industry. Investing in teachers as they play a critical role. Change is definitely happening but that shouldn’t be an excuse to just sit back and do nothing, we all need to play a role in creating sustained change. Using a Hegelian approach to challenging ‘thesis’ – the status quo. Reaching parents is very important and encouraging them to see music not just as a career path but a lifelong engagement. The importance of flagship organisations / individuals as role models and providing examples of different ways of doing things. Heading towards the sunset or is it a new dawn? Are we heading towards the sunset or is it a new dawn for diversity within the musical landscape? The Advance Network – what next? My organisation is not interested but can I make a difference? Can we see some organisational change already or is it too soon? Please don’t forget to register as tickets are going fast. You can access a direct link into the event website via the previous blog. More information about our guest speakers: Milica Robson will speak about the current place of diversity within the arts and whether there has been a significant change in the last 2 years at the Arts Council. James Douglas will share his perspective on the classical music scene as he embarks on his career as a professional cellist. Beverley Mason will be presenting the executive summary of the research project she undertook for the first phase of The Advanced Network. Sean Gregory will outline some of the exciting initiatives that will actively promote diversity within the education and performance sectors. 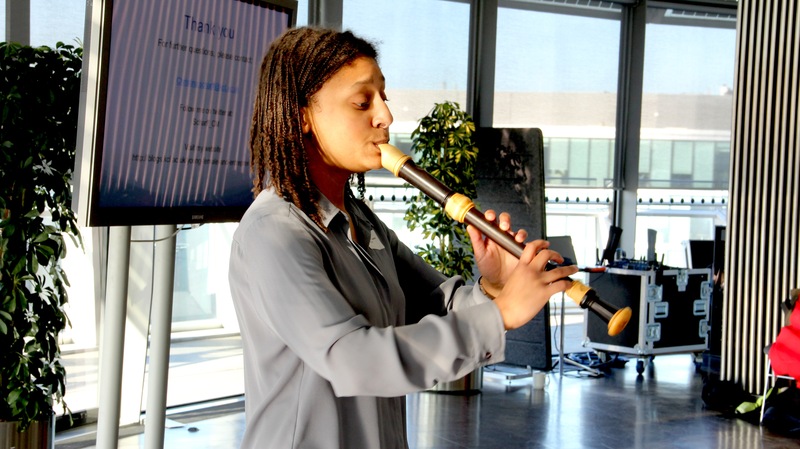 Kuumba Youth Music will once again be running its Young Music Leaders Programme for young BAME (black, Asian and minority ethnic) musicians aged 14 – 17, kindly supported by the Arts Council. If you know of any young musicians who would be interested or who would benefit from taking part in this programme please direct them to: kuumbayouthmusic@gmail.com or send them along to the event to find out more about the project! I was sent this link to a short documentary about a young viola player who has overcome her family’s poverty in Chile which I would like to share with you as it yet again confirms the power of music! New Year’s Resolutions – does your organisation need a detox? After the first year of the Advance Network where barriers were identified and issues were discussed and debated, Phase 2 has focused on taking action. We will be revisiting some of the speakers who have taken part in our conversations over the last 2 years and find out how the musical landscape has changed for their organisations and themselves personally. There will also be some fresh input on research in the area of diversity in classical music from Dr Christina Scharff. Robert Adediran will share his insights as the new Executive Director of London Music Masters. Janine Irons MBE will speak about the journey of Tomorrow’s Warriors and how, even though the prize-winning organisation has been running for well over 20 years, they are not complacent and are still forging the way in overcoming barriers. 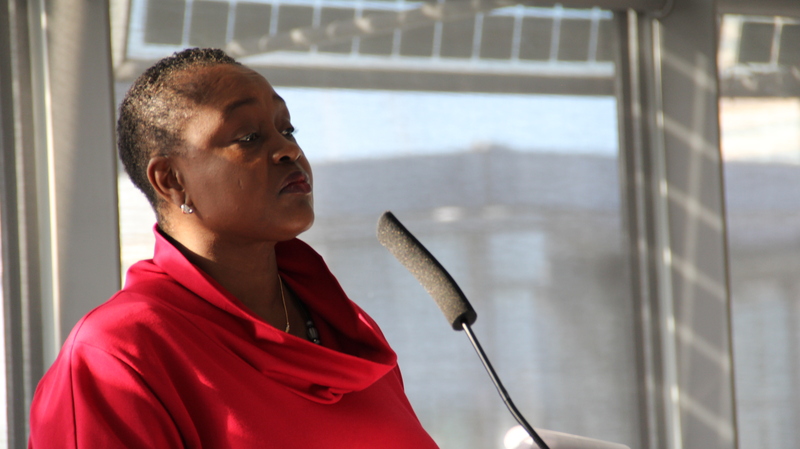 More about our other speakers in the next blog……. We will be hearing from the organisations that have taken part in the action research labs and the changes that they have been supported in making. 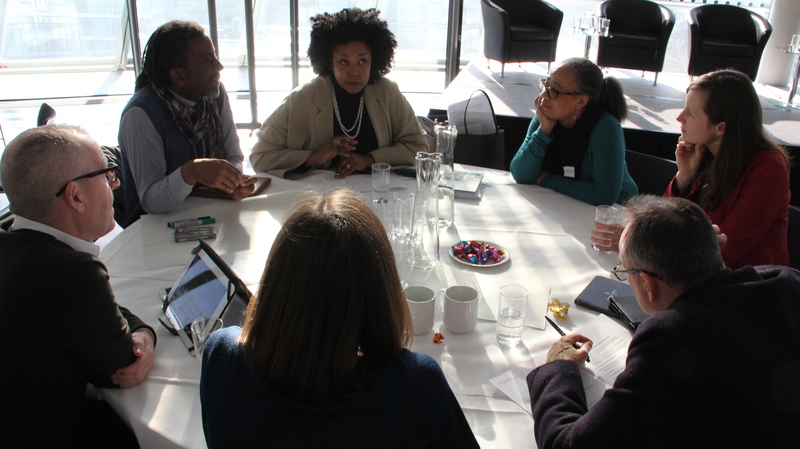 We will also be reviewing the current state of barriers and effective practice in engaging Black, Asian and Minority Ethnic (BAME) communities in ensemble music-making. Tickets for the event are free so please sign up soon to avoid disappointment. Belated birthday greetings for the 15th January to our friend from the Musical Progressions Roundtable Network, Hester Cockcroft, who proudly shares her birthday with Dr Martin Luther King. 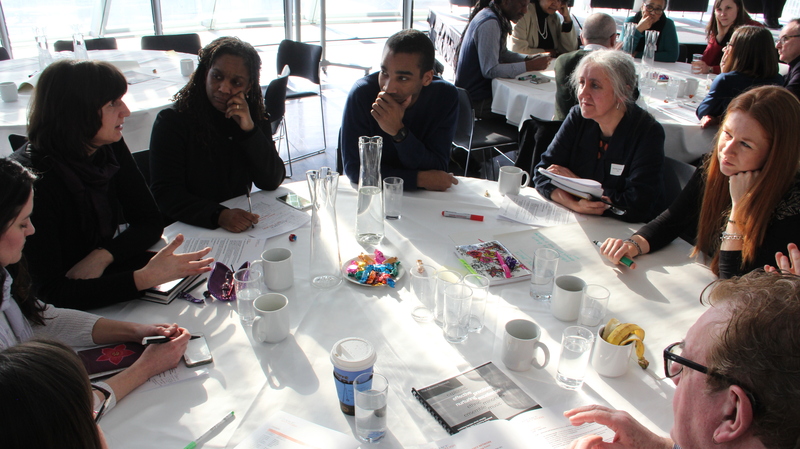 As part the Advance Network phase 2 theme, ‘Taking Action’, we have been working with groups of educators and leaders to look at what actions can be taken to increase diversity in their context. It’s been a fascinating journey so far as we see the implications diversity can have for an organisations approach and structure. For instance while the conversation is often on having more diverse representation among young musicians and audiences, it is also clear that one of the ways to achieve this is for the entire organisation, including the board to represent the communities they serve. 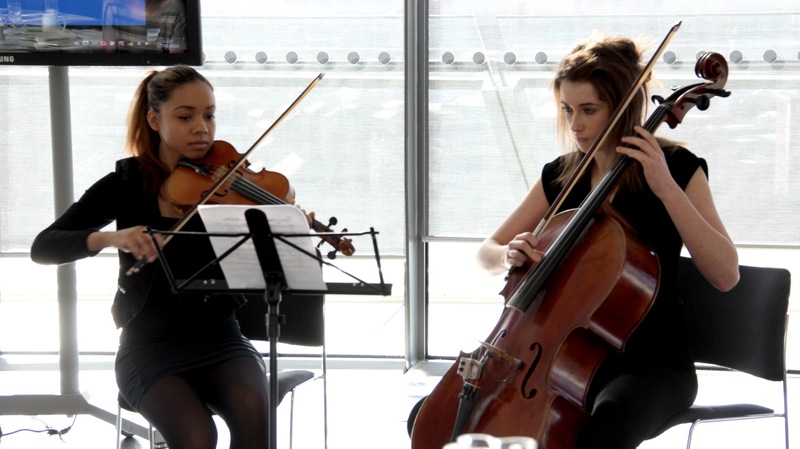 We are happy to share the following opportunities below, but hurry deadlines are fast approaching… Barbican and Southbank Young Orchestra for London, deadline 5th December… Future Talent Bursary Fund for talented young musicians, deadline 10th November 2014 and a vacancy for a board member at Future Talent, deadline 9th January 2015. FutureTalent Bursary Fund for talented young musicians is the flagship charity, which finds, funds and nurtures talented young musicians from low income families from anywhere in the UK. You can now apply for a music bursary which provides mentoring, performance opportunities and financial support of up to £1,000 per year. The deadline for applications is Monday 10 November. Please visit http://www.futuretalent.org/index.php/how-we-can-help-you/ for more information and an application form. 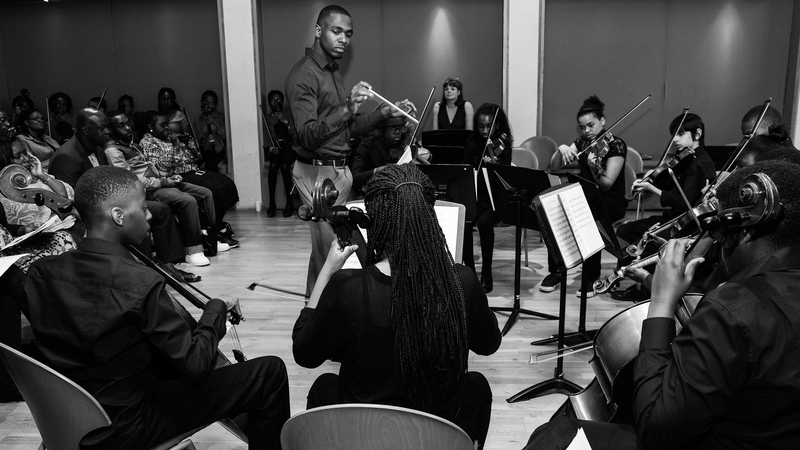 As part of a joint education project between the Barbican and Southbank Centre, to celebrate the joint Berliner Philharmoniker residency between our two organisations, we are creating a project called Young Orchestra for London. The Orchestra will be mixed age (11-21) mixed ability (Grade 3+) and will hopefully have representation of all 33 London Boroughs. Applications close on December 5th and rehearsals begin in January. The final performances will be at Barbican and at Southbank Centre in February 2015, conducted by Sir Simon Rattle. As part of the course musicians will have the opportunity to play alongside and learn from Berlin Phil. players, and members of both of resident orchestras including LSO and LPO. We are pleased to be back after the summer recess and to be sharing music, education and diversity news with you. First up is a great opportunity from Spitalfields Music, who are looking for dynamic musicians keen to develop their expertise working in diverse communities. Spitalfields Music is a creative charity producing live music experiences in East London through a year-round programme of festivals and creative and participatory music projects. Each year we reach around 30,000 people, with participants and audiences ranging in age from newborn to over 90 years old. Since 1976 we have been putting music at the heart of Tower Hamlets. In an area often seen to be full of challenges, we focus on music and its power to bring people together. Alternatively please see application packs attached. The deadline for applications is 9.00 am, Friday 5 September 2014. 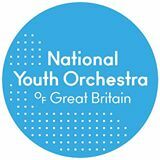 National Youth Orchestra is recruiting, Apply now! 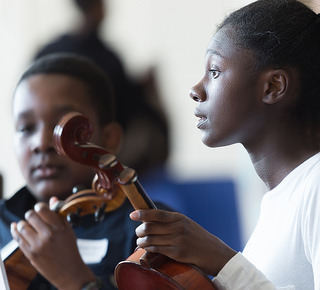 National Youth Orchestra of Great Britain are aiming to give young musicians of grade 8 standard a very positive audition experience and their new website will be giving encouragement, support and guidance. Auditions are taking place all over the country and there are travel bursaries if needed. Playing in NYOGB can be a life-changing experience. As a member, you make incredible music, try out new ideas with the brightest young musicians in the country, and work with accomplished tutors at an exceptionally high standard. But that’s not all. Being a member helps you develop as team players and young leaders, encourages you to pass on your skills to other teen musicians, and helps you become more confident in taking risks. Plus you’ll make some of the best friends you’ll ever meet along the way. 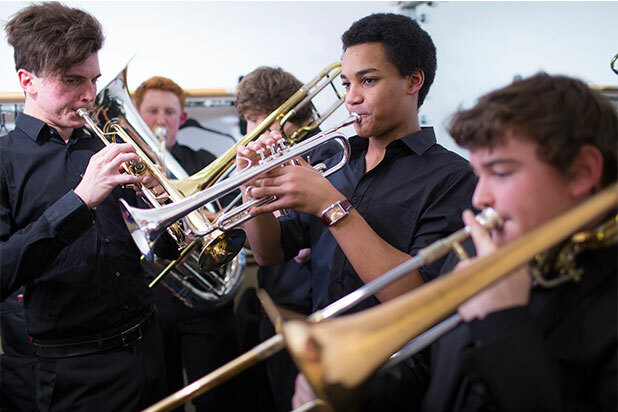 NYOGB believes in giving every committed and accomplished young musician in the UK the opportunity to experience the challenge and thrill of orchestral playing. That’s why everyone who applies and meets our standard requirements will be invited to audition for a place. Auditions are free, and take place in Edinburgh, Belfast, Cardiff, Manchester, Birmingham, Bristol and London, in September and October 2014. The NYOGB are aiming to make the audition process as friendly and informal as possible, to help you perform at your best. They are also working hard to ensure that all applicants have the chance to learn new performance or practice skills, so that your experience is positive and useful, whatever the outcome. If you can play to Grade 8 standard or higher, please do apply now.